Few days ago, Ekta Kapoor left the internet guessing with her tweet as she hinted someone special sharing their Home journey soon. The announcement created a stir amongst the audience leaving everyone anticipating the emotional ride of yet another celebrity with their home. After Jitendraji shared his fondest memories of his home, many other celebrities followed to share their Home journeys. Now, Smriti Irani has treated the audience with her dearest memories from her home. The Minister took out time from her busy schedule to travel to her childhood home and take a trip down memory lane as she visited the vicinity of Gurgaon, reviving memories from her past. As she revisited her past and visited her rented apartment in Gurugram, Smriti Irani is elated and visibly moved to meet her childhood friends and their children. She is greeted with warmth and affection by people who once saw her as a child. However, she is saddened to see that her house where she spent her childhood has been now renovated and made into a shop, making her tearful. Just like good old days, she takes a rickshaw ride with her friend from the colony and goes to savour some chat from a local shop. 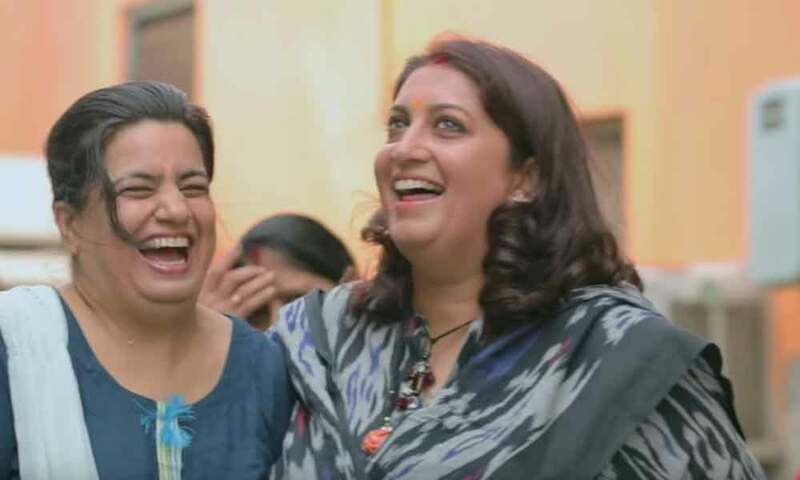 Ekta Kapoor and Smriti Irani share a very warm bond which dates back to the time when the duo worked together on Indian Television’s one of the most celebrated shows ‘Kyuki Saas Bhi Kabhi Bahu Thi’. The bond has only strengthened over the years as the Textile Minister of Indian Government spared an entire day just for Ekta Kapoor’s #MyHome campaign. Ekta Kapoor tweeted saying, “Taking out a day was tough with hours of travel to where this person had d first home but I can safely say I’m d only person who can convince this person to shoot after more than a 8 year Hiatus!because it was not about d show it was abt d feeling that millions of Indians share”. The avid filmmaker has time and again expressed her fondness for topics that are closer to the audience and through her work Ekta attempts to put forth the emotions of the masses.